Hello everyone, after the launch of the respin. Peppermint Six has climbed to number 8 in the 7day rating at DistroWatch !! It could be there are a lot of people who want to dual boot with Win8 or higher. As you know, it can be hard to find distros with UEFI support, so that could be drawing people in. I haven't found any other distro that delivers so much, while packing so little - Peppermint all the way !! This is great news. Congratulations, and a big thank to all who made this release possible at Team Peppermint. 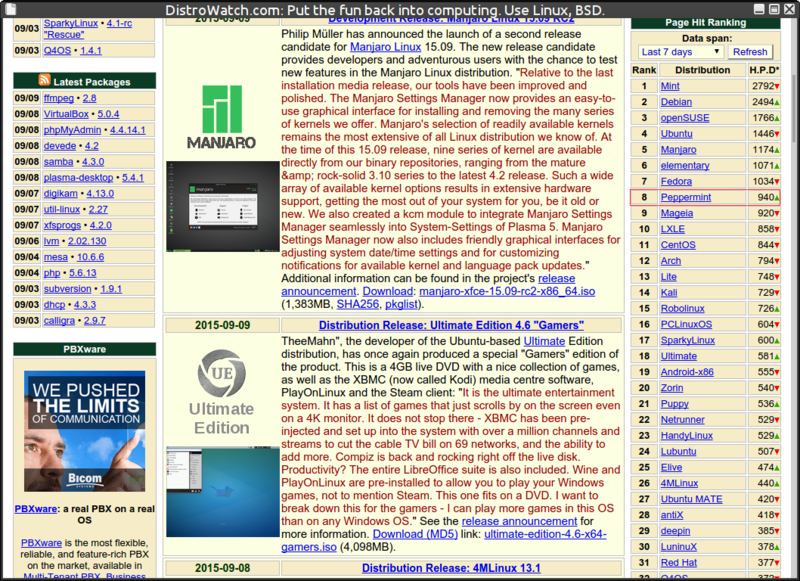 I hope Peppermint will stay in the top ten category at DistroWatch. It should. Peppermint 6 Respin is, by all standards, a world-class release. scifdude79, what you and PCNetSpec posted above (about dual booting) is an interesting idea. You guys could be right about that. It this is so, I'd say this a terrific way to introduce Windows users to Linux! Yes, I know, but I can dream? Yeah, really. After all, Ubuntu still claims they're #1, but DW tells a different story.